Exquisite Cancun Beach Front Condo! Our CANCUN Beach Front home offers guest all the luxury's one expects in a five star hotel, but with all of the comfort and casual living one experiences in their own home. Complete with views from every room of either the Caribbean, or Lagoon. 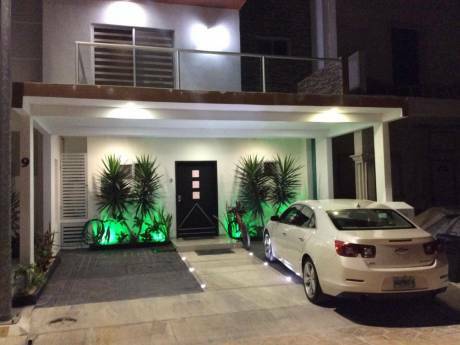 This home also has two balcony's, one large balcony with access from both the living room and master bedroom. complete with dining table for six, a double chaise lounge and circular hot tub. 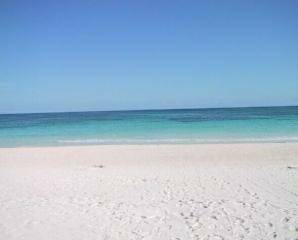 This is a wonderful area to entertain or just enjoy the solitude of the Caribbean Views. There is a large master bedroom suite has a really comfortable King Size Bed, a luxurious bath room with double sinks, large shower stall, and huge walk in closet/dressing room. There is also a flat screen TV. The two guest bedrooms have two queen size beds as well as on suite bathrooms. On the way to the second and third bedroom one passes the office complete with desk and reading chair. Across from the office is the Family Room with comfortable sofa and flat screen TV. There is also a restful balcony that opens to the Family Room. The apartment is complete with central A/C, Washer/Dryer and beautiful marble and ceramic floors through out. This is the ultimate mix of comfort and chic at the beach! We are a family of four. Two Dads and two kids. My partner Jeff is 49 and is a VP in real estate finance in NYC.. I (John, 50) am a EVP, Sales Broker at a residential real estate firm in NYC. Our children are ten year old boy/ girl twins who are currently in the fourth grade. They are well mannered and are accustom to living in nice homes with nice furnishings. We are very clean and orderly and prefer live and vacation in that manner. We plan to stay in Paris between JULY 1-15th, 2012. We plan to go to Corsica either at the beginning or the end of our trip. Our home in Cancun is not our main residence so we can be flexible as to when we trade it. Unfortunately we are not flexible with the dates that we are looking to occupy a residence in Paris. Lahia Condominium is located in the Hotel Zone, however it is far enough away from the hustle and bustle to allow a restful holiday experience. If you are looking for Night life it is a with a short five minute bus or car ride away. 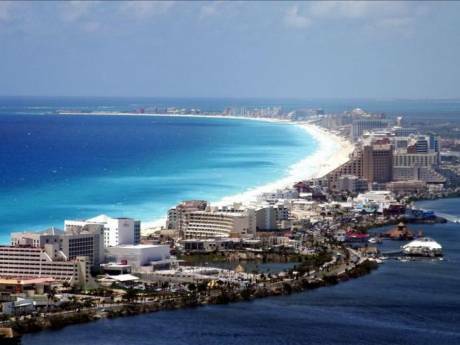 Cancun offers world class restaurants and shopping. However with a complete chefs kitchen and concierge service available, one can make arrangements before you arrive to have the pantry and refrigerator fully stocked so you never have to eat a meal away from home. There is also a pool side snack bar where one can order breakfast or lunch. There is a maid who is very reasonable and will clean the apartment as often as you would like. When we are there we usually have her come every other day or three days a week. She is very reasonable. Again, this service can also be arranged through our personal concierge. When you get tired of laying by the pool or playing in the wave at the beach you can take advantage of the wonderful Sky Top Spa and Gym Lahia has to offer with spectacular of the Caribbean and Lagoon. The pictures say it all. You can enjoy working out, in a clean state of the art environment. When you are finished have sauna, steam and hot tub. If your muscles need extra relaxation request a therapeutic massage from one the Spa's massage therapists. The tennis courts are just out side the children's play room and adult activity room, where one can play ping pong, watch a movie or listen to music.